When it comes to décor in the kitchen, one may not find this an essential piece of the puzzle. Kitchens are used for cooking and providing food for families and friends, right? Well, not entirely. Yes, a kitchen’s main function is to cook for those you love, but quite often, kitchens become a sort of common room. Where there is delicious food, there are people, so naturally people will gather in kitchens. It has a given. With this being said, why not make the kitchen as gorgeous as the rest of the house? 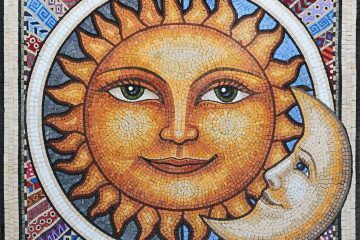 We have gathered 25 of the best kitchen tile mosaics you can find to help spruce up your kitchen and make it gorgeous. 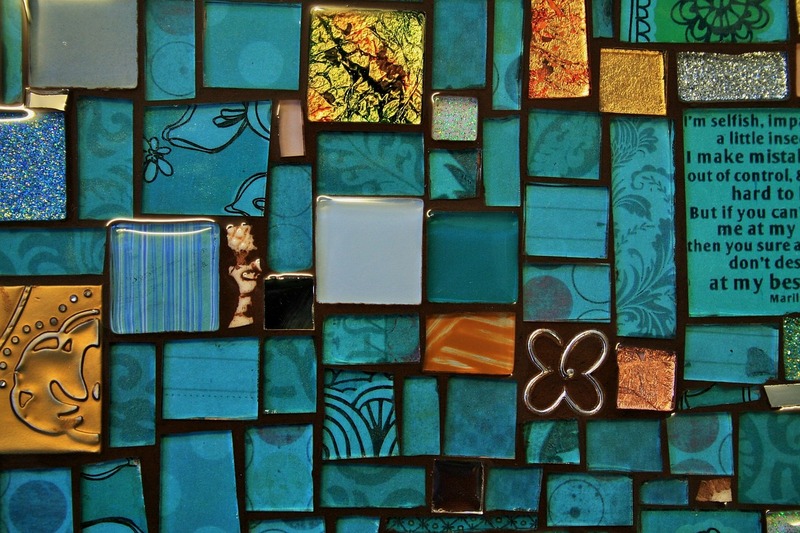 This gorgeous, blue mosaic kitchen tile display brings together all the great parts of a mosaic. Deep blues and intricate art embellishments in between contrast the checkered look of the piece. 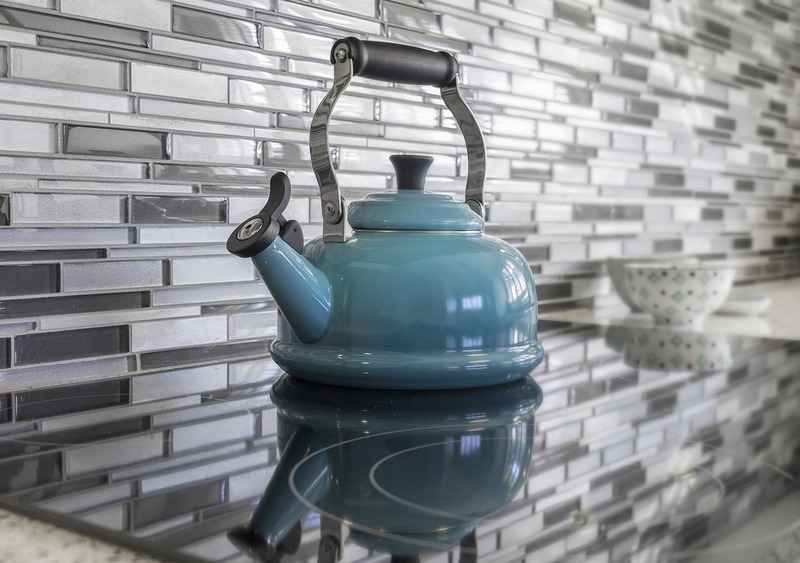 The color of these tiles are sure to sparkle under your kitchen lights. 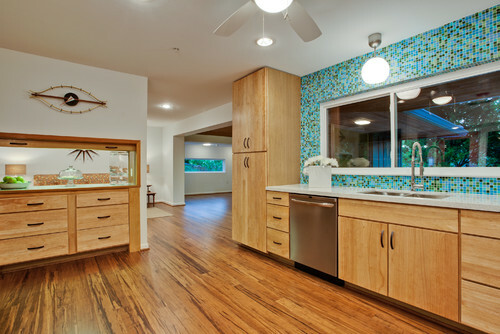 This seashell-mirrored mosaic adds a fun sea theme into the kitchen. 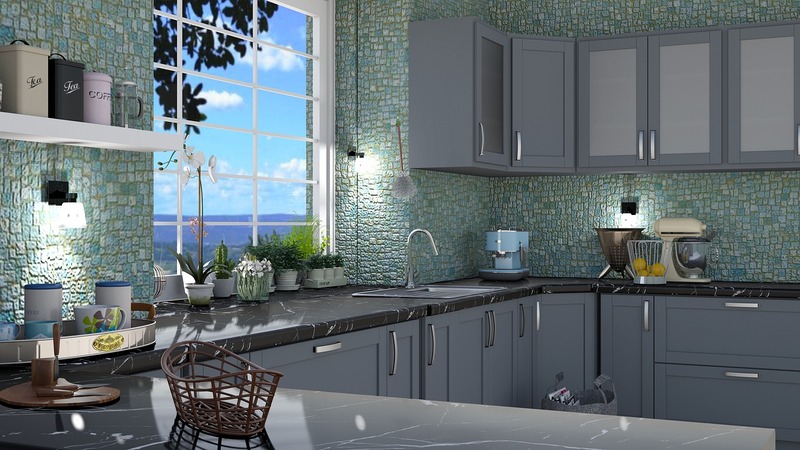 These are gorgeous tiles that bring the ocean into the space with these glistening blue green tiles and actual seashells scattered about the entire design. A delicate, yet intriguing layout will surely garner attention. 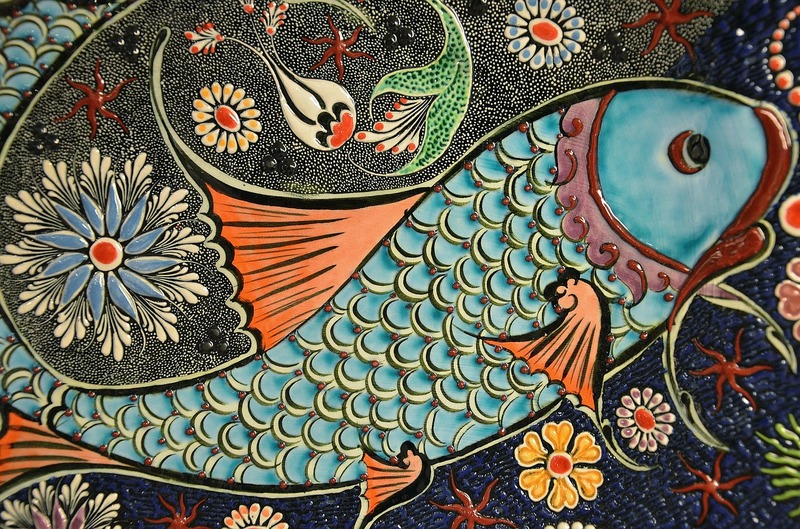 This is a gorgeous mosaic design that adds so much color and texture into the space. These colors blended – the myriad of blues and greens – give the space a sort of marine or ocean feel into the space. This clean, fresh look will open up the space. Therefore, these tiles may not actually be broken, but the pattern mimics broken pieces of shale or rock. These tiles are gorgeous, especially in these colors because of the bold spectrum. The whites, blacks and greys all coincide so well together that this will make any kitchen look modern and glamorous. 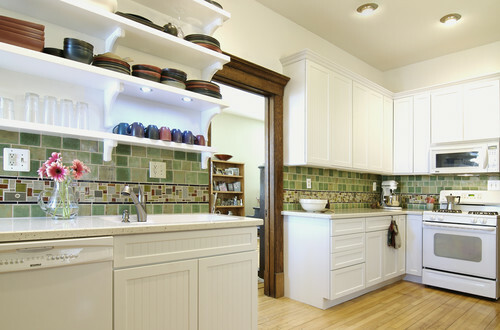 This kitchen features a more traditional backsplash with these larger, neutrally toned mosaics. This is a common sight in most kitchens and for a very good reason. This style is never out of style, really. The neutral tones within these tiles will virtually go with everything and you just cannot go wrong. 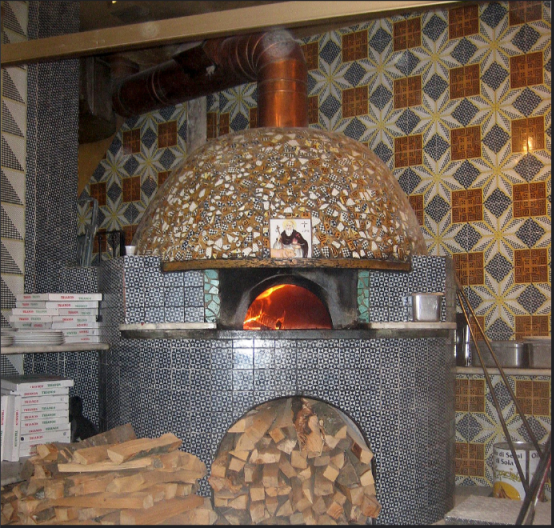 Found in Naples where they make some of the best pizza in the world (so I hear), this brick oven is delicately detailed with brilliant and intriguing mosaic tiles. This oven has definitely stood the test of time and it is very fortunate for all of us. The tiled wall in the background helps tie this space together and is a truly beautiful sight. These gorgeous Claude Monet tiles found in France adhere to a delicate pattern of white with flowery blue designs across them. This is a more traditional and classic look for a kitchen, with a French chic flair that is sure to look great in any age. This interesting floor is kind of like a mosaic with a mosaic. 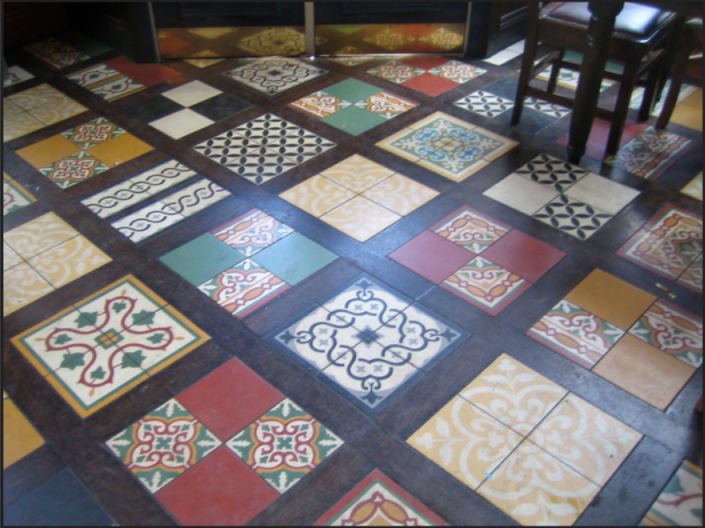 Within this span of floor, which is a mosaic, lies more intricate squares of accompanying mosaic designs. This is an interesting mix of colors and patterns that makes the whole floor seem to come to life with vibrancy. 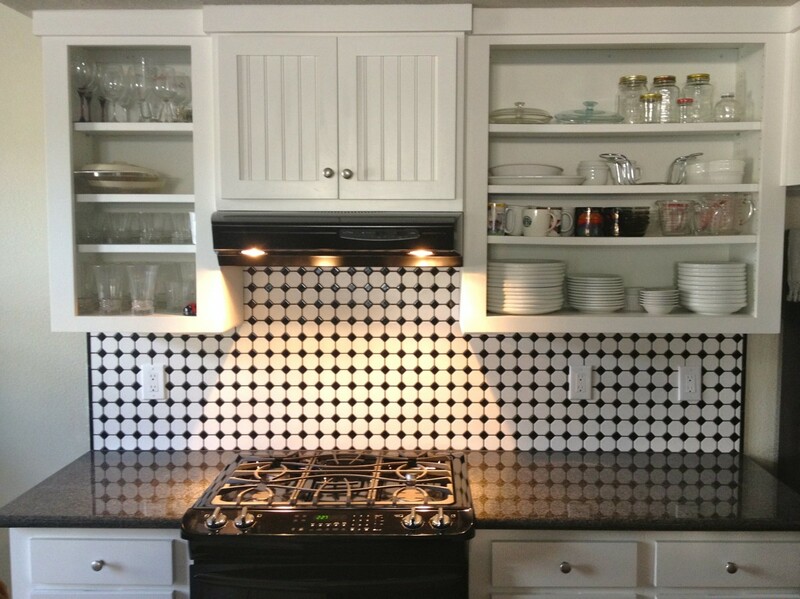 This kitchen backsplash features a more modern take on that classic checkerboard mosaic layout. You can never go wrong with black and white checkerboard designs because they give the whole space a clean look that can be styled to be either modern, contemporary or classic. This hammered copper backsplash is stunning in this setup. 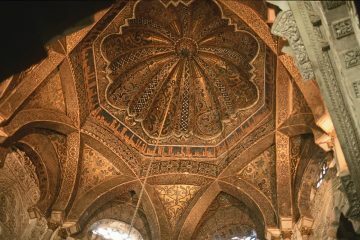 The mosaic itself almost resembles tiny copper bricks laid out in unison, only to be surrounded by that bold stone layout along the edges. This impressive style demands attention. This Roseton mosaic design is a classic look that brings in a clean and delicate look to the kitchen. 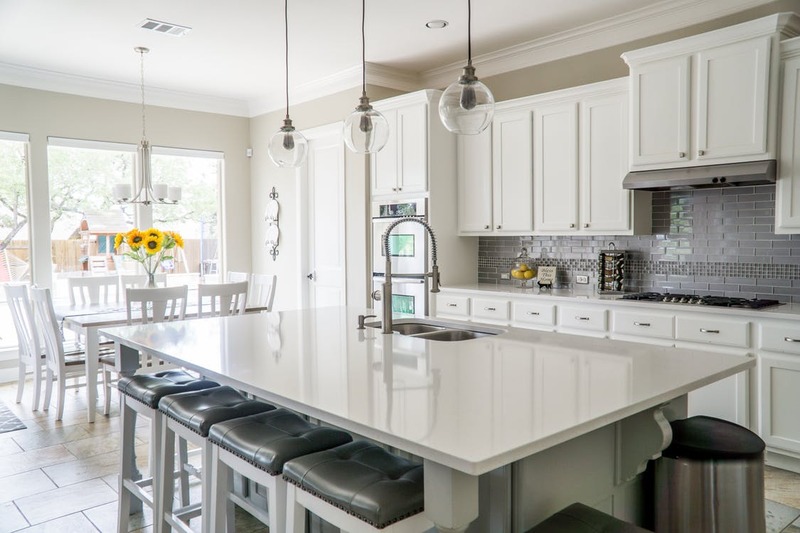 This is a great concept for that kitchen that does not have too many frills, but needs some decorative elements here and there. Perfect for a country home or a vacation house. This classic criss-cross backsplash is a traditional design with a modern flair. 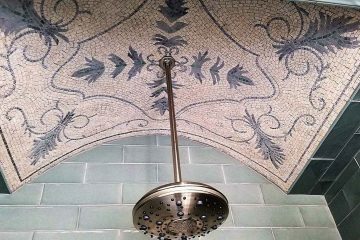 The natural tones of these mosaic tiles only bring in a feeling of nostalgia, as this is a common style of backsplash you would see back then and here, in the present. This is gorgeous and timeless for a reason. This gorgeous gray glass mosaic features elongated, smooth stones that shimmer in the natural light of this kitchen. 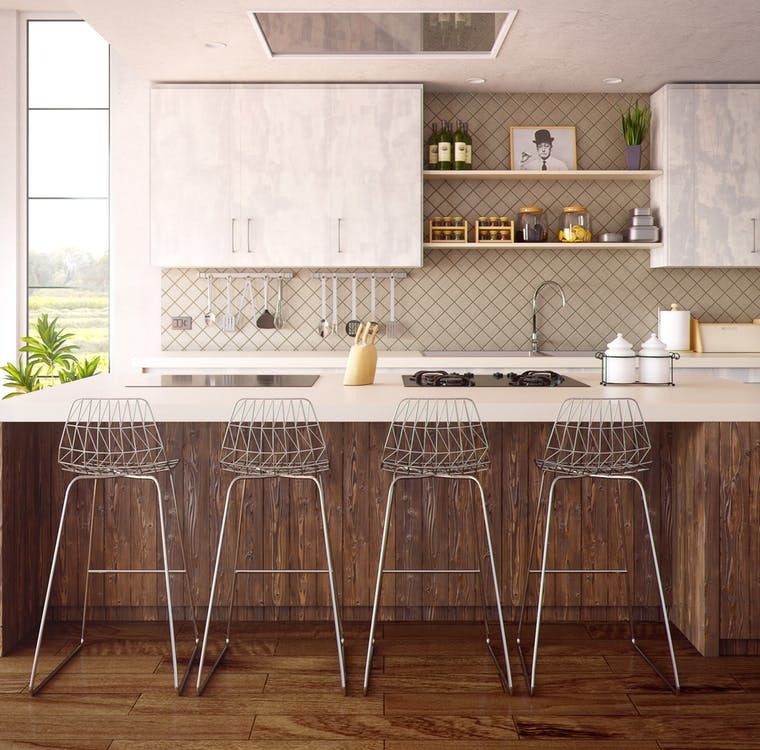 This is a crisp and clean way to accent your kitchen without adding too many distractions or decorative elements. This is a classic look that will make your kitchen inviting and inspiring. Kind of like that gray backsplash we saw earlier, this kitchen backsplash features longer, glassy gray stones from light to dark. This adds an intriguing element into the space and definitely adds some depth into the whole scene. This is a classic look with a contemporary flair. 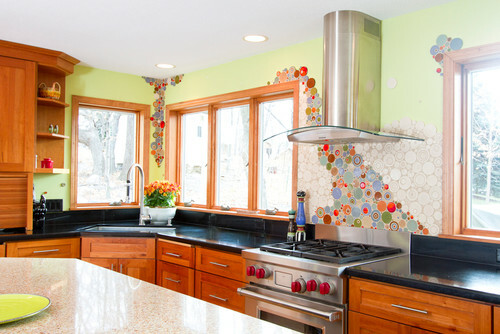 This remodel job of this 1960s kitchen features an impressive multicolored mosaic backsplash that is quite the head-turner. The mosaic tiles are the first things that you notice upon entering this kitchen, and the colorful design will most definitely be the last thing you remember, as well. 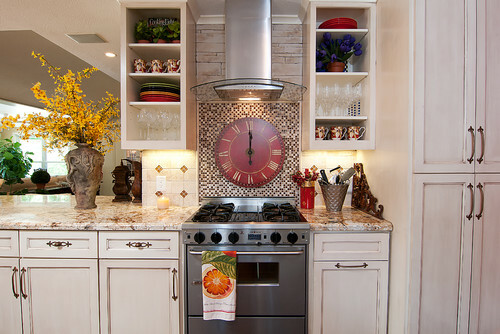 This mosaic backsplash features an ornate clock hanging right above the kitchen stove. 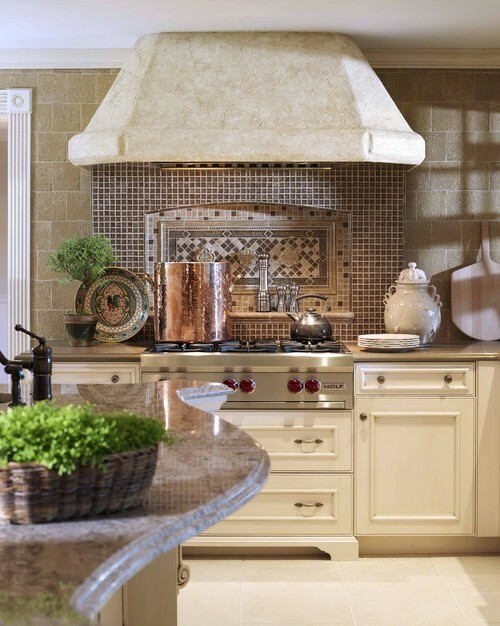 This is an unusual, but gorgeous design that makes the kitchen feel cozy and more traditional. Kitchens are typically the second coziest room in the house, so this design definitely helps keep that feeling going. 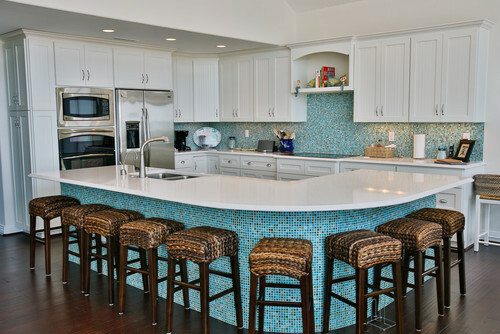 This gorgeous beach house style kitchen features brilliant mosaic that creates movement – almost like the ocean itself. 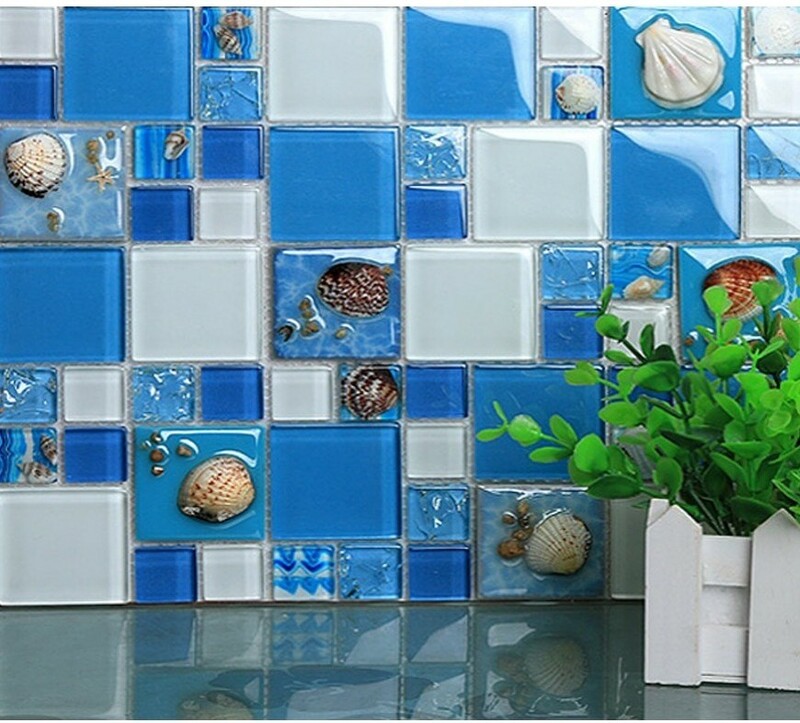 The blues and greens within this mosaic makes the tiles move like the waves in this original setup. 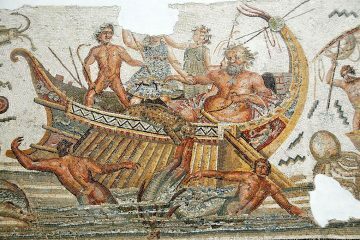 You do not have to have a beach house to make this mosaic work for you, but you may need to scale up or down depending on size. 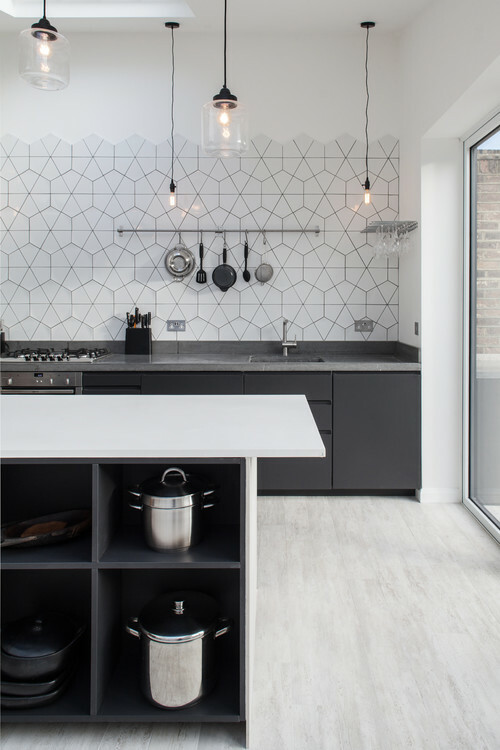 This London home features a more contemporary backsplash with an interesting design. The honeycomb-like, larger pattern design opens up the space without being distracting. This would be a great concept for a home that inspires to be minimalistic or industrial chic. Definitely a style that will withstand the test of time. This inset mosaic design features a strip of mosaic within a mosaic. 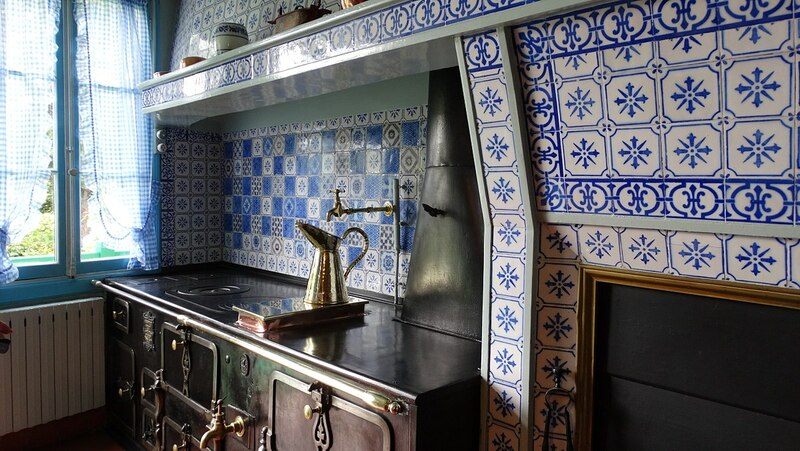 The outer levels of this mosaic feature larger, sea green and blue tiles that snake around the kitchen. Inset within this design, is a smaller strip of intricate mosaic that is more multicolored and prominent. Although these are two potentially conflicting designs, it just comes together nicely and looks grit. 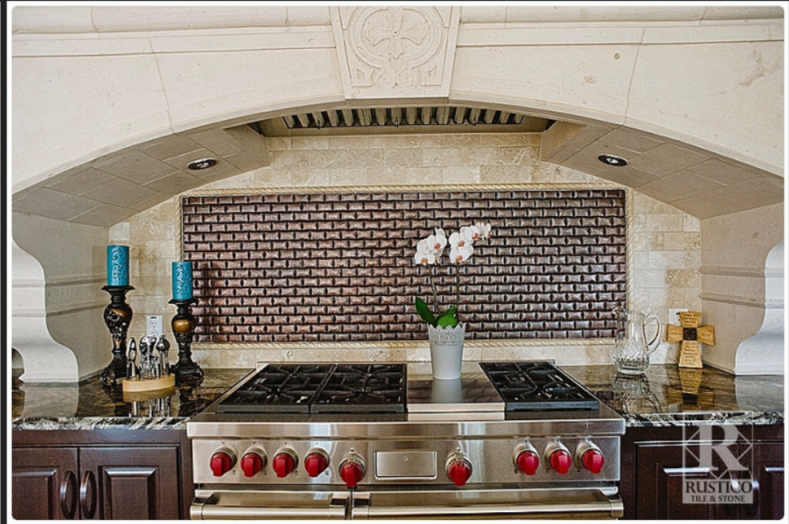 This mosaic design provides great contrast to the kitchen walls. The mosaic designs are full of tiles that are bold, vivid and definitely vibrant. This would be an incredible look in a more modern home that prefers to adhere to classic designs. Not only is this gorgeous, but these designs are sure to draw plenty of attention. This multicolored mosaic kitchen backsplash features bold, glorious colors dripping down this kitchen wall. 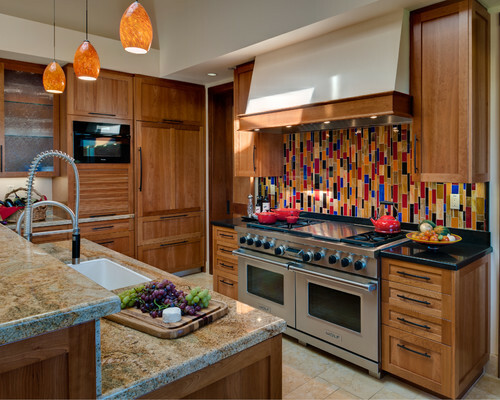 This backsplash is comprised of longer tiles, all facing vertically and full of vibrant color. This is not a design that you would see every day, and that is what makes this incredibly unique design so captivating. 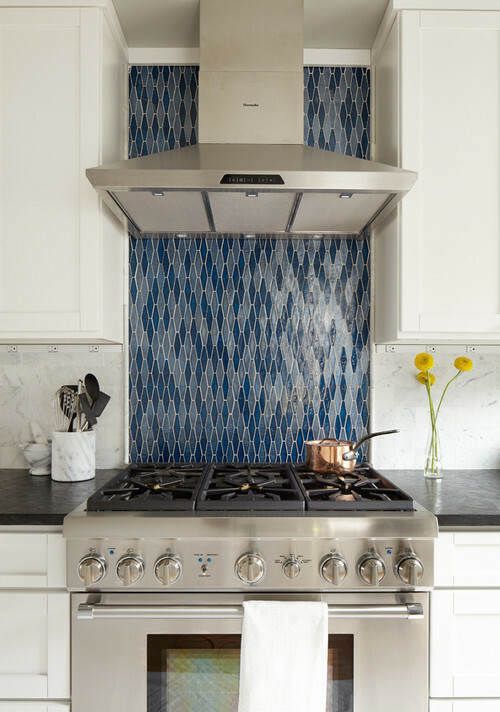 This interesting backsplash features a modern mosaic layout that feels both traditional and contemporary. The design itself feels more contemporary while the layout and color feels more traditional. Either way, this confliction of styles just works within this kitchen since the color and layout set well together. This impressive brown mosaic kitchen backsplash brings in many tones from neutral to bold. These browns, creams and tans work well in conjunction, and are a safe color set to have since most décor will coincide nicely with this type of layout. 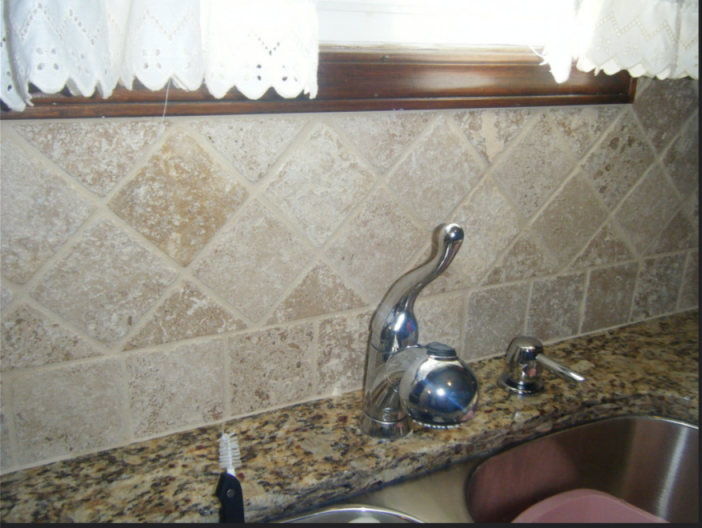 Wither you keep a more modern home or prefer the traditional style, this backsplash will bring out the best. 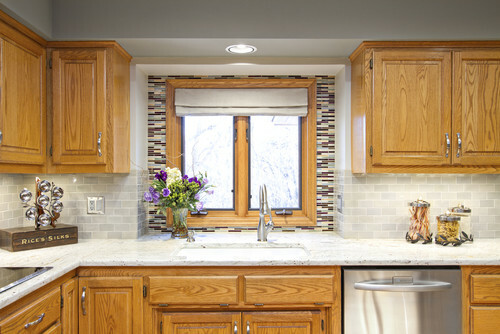 This gorgeous mosaic pretty much frames this kitchen window creating a beautiful cascade of color and light. This is an interesting concept that makes the kitchen feel more open and airy. The color scheme here is a combination of teals and browns, but there would be so many color schemes that would be equally as gorgeous. So, what do you think? Which of these mosaic kitchen tile designs do you like the best? Which color combinations stuck out the most to you? Do you think you want to try one of them? 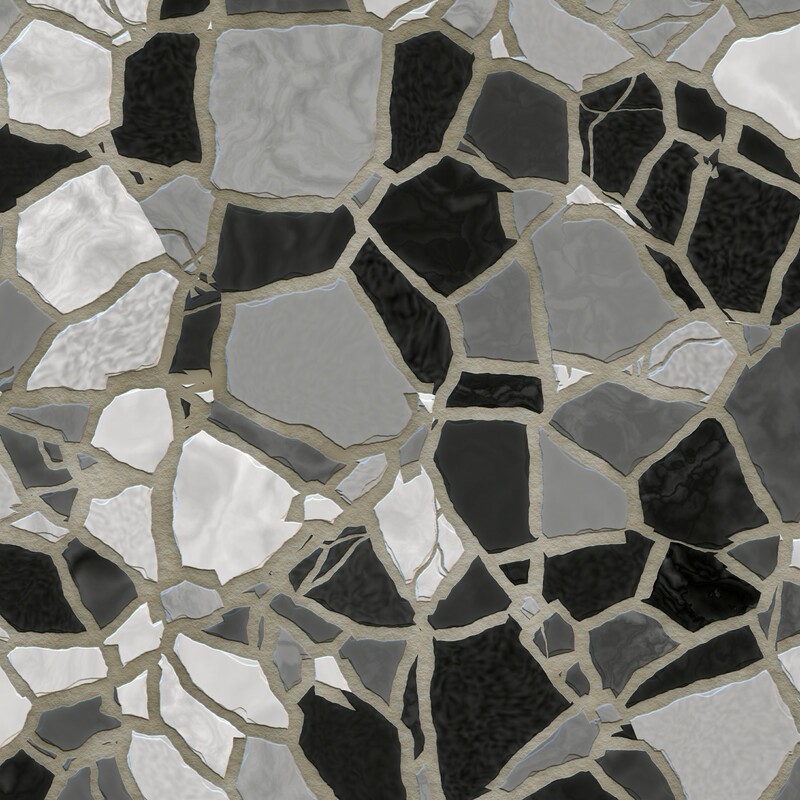 What is great about kitchen mosaic designs is that they really cannot look bad. Think about it – colors and glass combined to create kitchen artwork – gorgeous. 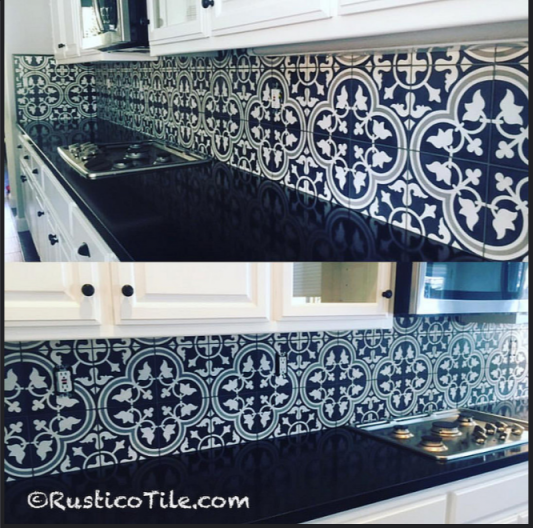 Do you have any experience with kitchen tile mosaics? We would love to hear from you! Which designs look best and which color combinations do you prefer. Feel free to leave you feedback in the comments section so we can all get a little extra insight.